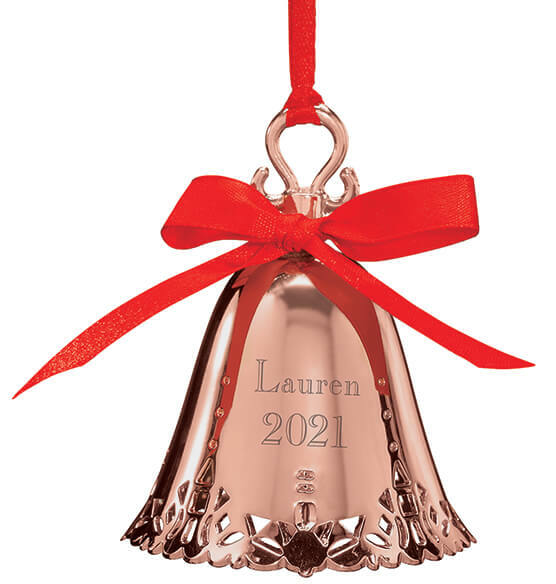 This Personalized Rose Gold Tone Bell Ornament is shimmering with detail. Rose Gold metal. 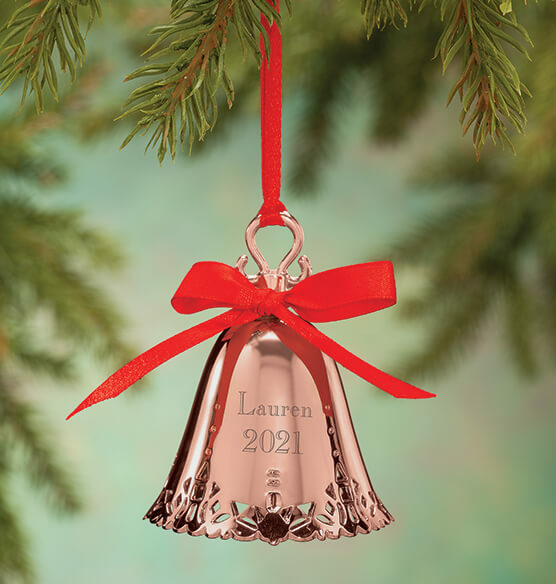 We'll personalize for one special Christmas. Specify year. Specify name.